YU & Associates (YU) was retained to perform Site Engineering and obtain the necessary Regulatory Approvals for the new $47, 000,000 Franklin L. Williams (a.k.a. 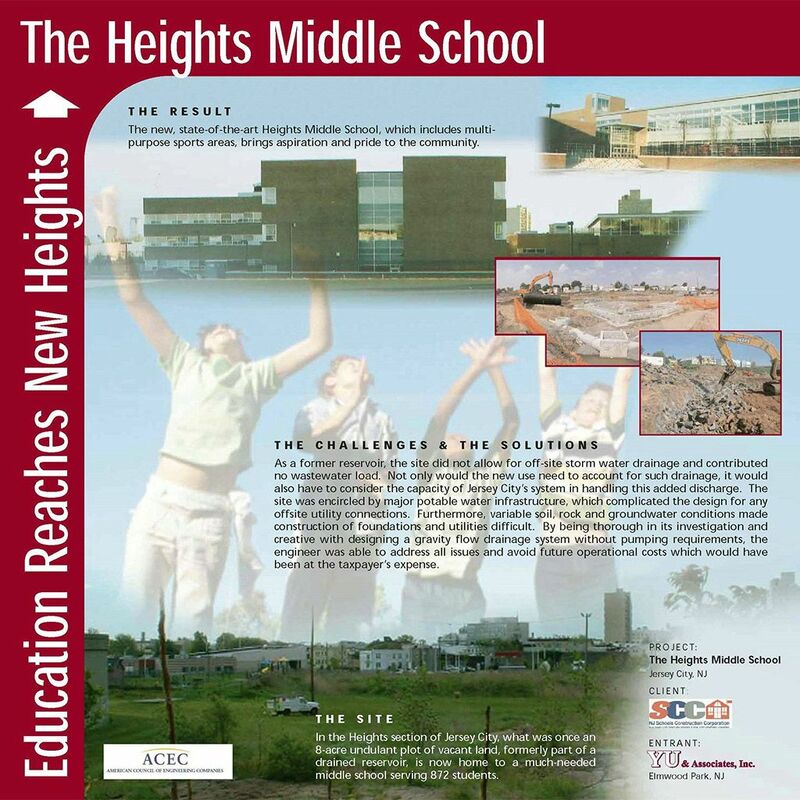 Heights Middle School) serving 912 students. Located on an 8-acre site, the project involves the design of a new 164,000 sf building as well as a multi-use field for softball, soccer and basketball. The site work includes grading and drainage of the multi-use field, storm water management, widening of an existing road to accommodate the new school, analysis of off-site sewer facilities and obtaining a Treatment Works Approval (TWA) permit for a new sanitary sewer. Geotechnical investigations and refraction surveys were performed to determine depth to rock. The data was evaluated to determine the feasibility of rock excavation and blasting and its effect on adjacent structures including a railway tunnel. Owner: New Jersey Schools Construction Corp.